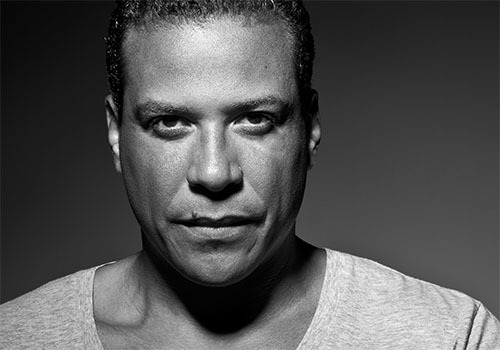 George Morel is an accomplished and evolutionary DJ/Producer, and is considered a pioneer in the dance music world. Morel is a multiple gold and platinum selling artist. Morel has a deep appreciation for electronic music that fills the room and moves the soul. Morel’s journey began as a young thirteen year old curious about electronic music and sounds, who began by experimenting with vinyl and turntables. By his late teens he fine-tuned his skills while playing regularly at parties in his New York neighborhood. Little did he know that all of this would lead up to hit singles and worldwide recognition. By the early 90’s Morel landed his first production session, working with David Cole of C&C Music Factory on a track entitled “Our Love (It’s Over)” featuring vocalist Dee Holloway. The track was an instant hit in the New York club scene, catapulting Morel’s DJ career. He became a regular guest DJ at some of New York’s most popular venues such as Red Zone, Palladium, The World, Traxs and Save The Robots. Soon after his first release, Morel wowed the electronic dance world with the production of the infectious hit “Wiggle It” for 2 In A Room. The single spent two weeks at the top of Billboard’s Hot Dance Music/Club Play Chart, eventually going Gold. It made the top three pop charts in the UK, opening up Europe as a fan base for Morel. Other projects during that time included edit arrangements with C&C Music Factory on “Things That Make You Go Umm”, “Emotions” for Mariah Carey, “Let The Beat Hit Them” by Lisa Lisa and The Cult Jam in which he was awarded one Platinum and three Gold Records. What seemed like his magic touch extended to the success of the burgeoning Strictly Rhythm dance label where Morel was Vice President of A & R. His hard work paid off for the label, which celebrated with massive worldwide label recognition, and one Gold and Platinum records and Billboard Music Awards during his seven years tenure (1991-1998). In 1995 Morel started his own label, Groove On Records. It became an overnight success, with every major DJ talking about the label. Ultimately, Groove On became Morel’s production platform, along with other notable DJs from around the world. Meanwhile, Morel never stopped spinning. His global fan base grew, shifting his attention to Europe, Asia and South America. He held headline in Street Parade (Switzerland), City Parade (Belgium), Rock In Rio (Brazil), Summer Spirit, Nature One (Germany), Blue Parade (Germany), eleven consecutive years at the infamous Love Parade in Berlin (Germany) and many more. 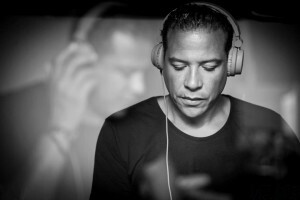 He also appeared in some of the top clubs of the world such as Amnesia (Ibiza), Space (Ibiza), Privilege (Ibiza), Cocoon Club (Germany), Tribehouse (Germany), The Mad (Switzerland), Ministry Of Sound (U.K.) Peter Pan (Italy), Queen (Paris), Yellow (Japan), Club Seven (Bahrain) and the legendary Tresor (Berlin) to name a few. Having experienced so many venues, cultures and music around the world, Morel’s sound has inevitably evolved with time. Listening to his tracks throughout the years you can hear how each single is distinct but holds a timeless groove. His passion for reinvention and keen ear for new sounds are continuously demonstrated through his DJ sets and that distinctive George Morel groove. What’s more, Morel’s evolutionary spirit is seen through his company Groove On Productions. Look for new releases at Grooveon-Music.com! Please check also his official website georgemorel.com!